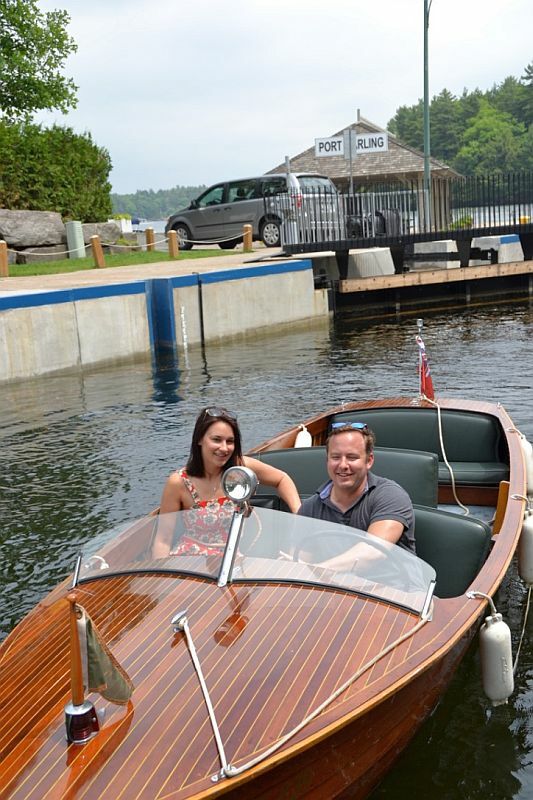 Crusing the Muskoka Lakes in vintage watercraft plus a recently sold cabin cruiser. 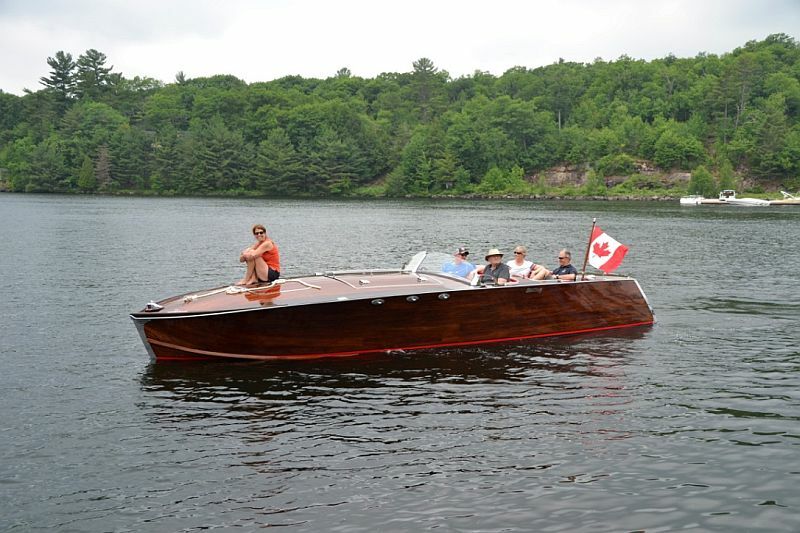 There is never a shortage of fascinating vintage watercraft on the Muskoka Lakes. N.H., our secret sleuth, recently captured images of three very different “woodies” and their owners enjoying time on the water. 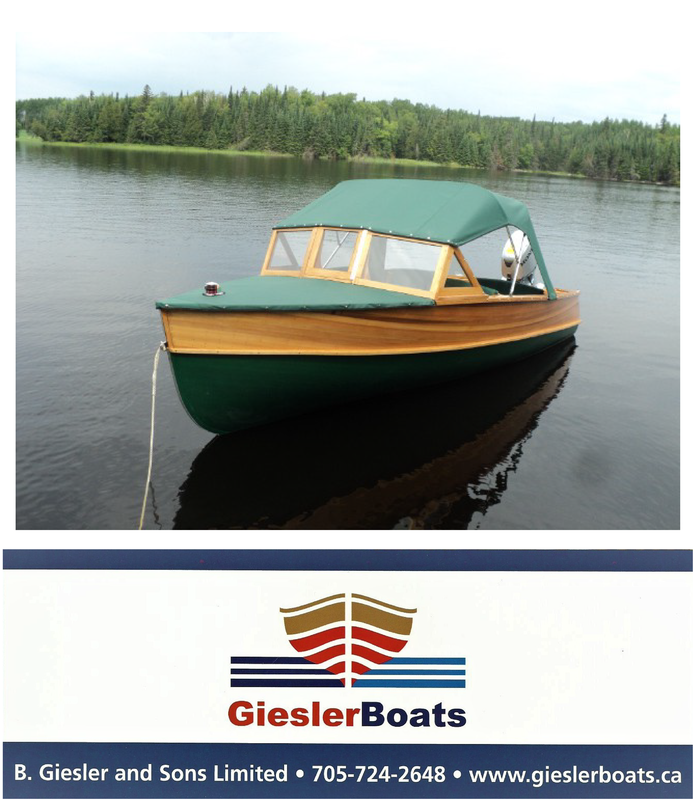 (Photo above) You don’t have to own a wooden boat to enjoy a run on the Muskoka Lakes. Erica and Andrew are enjoying a romantic weekend in one of Stan Hunter’s Hunter’s Duke Playmates, available through his Muskoka Launch Livery rental service. 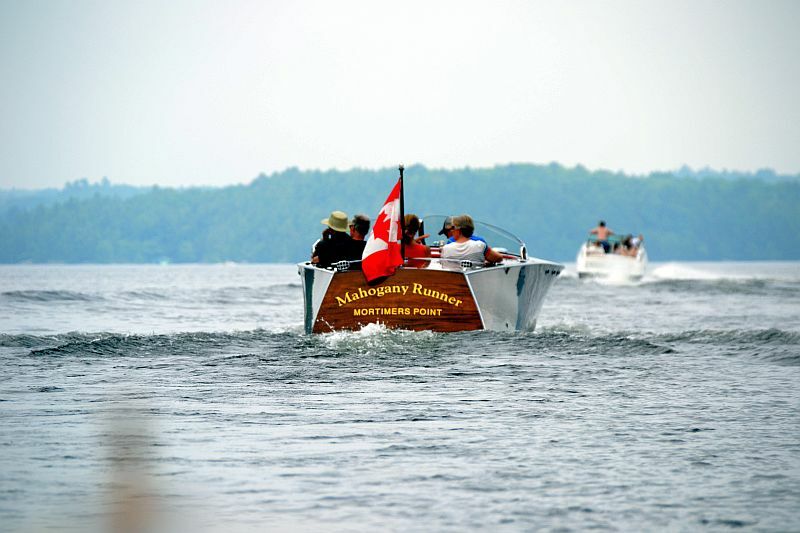 (Above) Enthusiasts enjoy a Poker Run, held several days before the annual ACBS Internaiton Boat Show in Gravenhurst, Ontario. (Above) This Stancraft triple cockpit is one of two on the Lakes. Its high free-board certainly matches the big V8 engine. What a great day to be out on the water! Congratulations to the vendor and buyer of this recently listed Chris-Craft Constellation ( sold through Port Carling Boats). No doubt the very reasonable asking price for this beautiful cruiser ($20,000 CDN) helped to attract potential purchasers. Happy cruising! 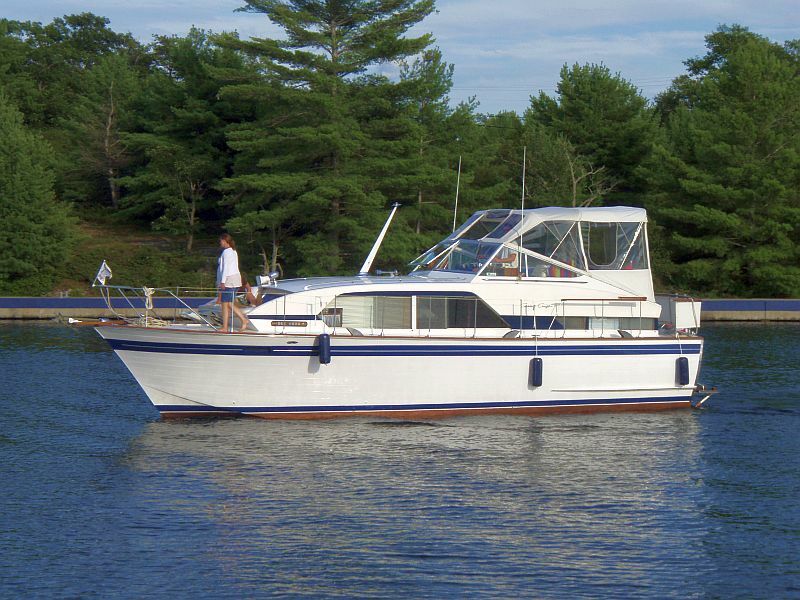 ← Our newest listing: plus recently sold boats.